Speciality baker Tom Hazzledine, of Baker Tom fame, has turned to a St Austell design consultancy to design a café within the heart of his industrial bakery in Redruth. 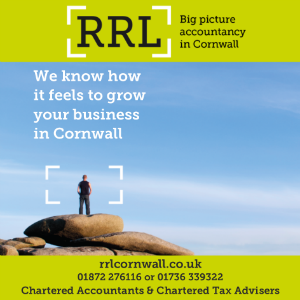 Hazzledine is keen to add the facility to complement his existing retail outlets in Falmouth and Truro. And he has charged Slurp Design’s Eugene Sellors to create the “complete sensory experience”. 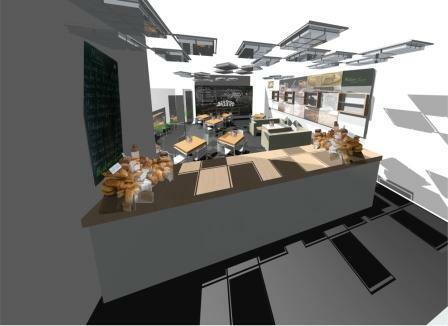 Customers will be able to make purchases and enjoy their food while watching the bakers at work through a large opening in the bakery wall fronted by a spacious counter. Above will hang a bespoke lighting feature made from re-cycled baking tins. And with a blackboard covering an entire wall, customers will be inspired by Hazzledine’s recipes and be encouraged to exchange their own. The café is due to open at Easter.